Since 1969, Fastener Coatings, Inc. has provided quality service and products at competitive prices. We offer quick turnaround times and are fully compliant with all environmental quality standards and requirements. At Fastener Coatings, Inc., we use two-part polyurethane and waterborne paints. We are also capable of powder coating parts, and can paint multiple sizes and colors simultaneously. Using the Phoenix Computer Color Eye system, we are able to provide the perfect pigments for your parts, and color certification is available with every order. 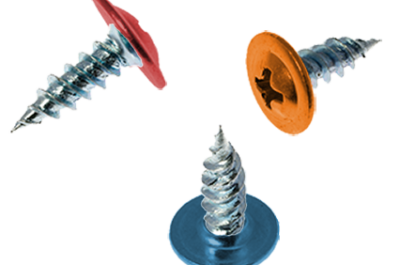 Fastener Coatings, Inc. combines quality finished products with fast and convenient service. We offer painting services for parts of many shapes and sizes. Let Fastener Coatings, Inc. make your job easier with our warehousing and drop shipping services. If you are in the Chicago area, free pickup/delivery may be available to you! Contact us for more information. We want our colors to match exactly what your company needs, and we offer color certification for each order. At Fastener Coatings, Inc., our facilities allow us to paint over one million parts every day. These parts then go into toys, window/door manufacturing, frames, electronics, tractor/trailer, furniture and much more!